Many small companies are now making smart sockets including Broadlink, Plugaway, Orvibo, Kankun, and so on. 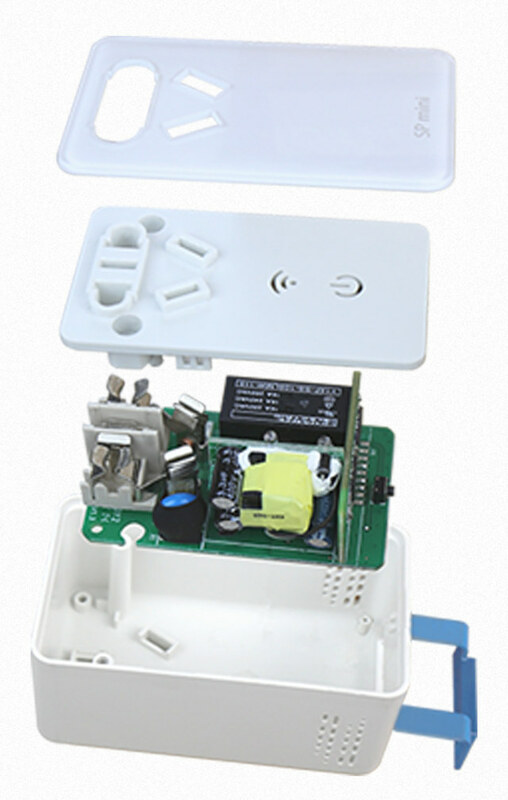 They are various features, some even have energy monitoring support like Broadlink SP2 (But it died after two or three months on mine), and some are more basic like Kankun KK-SP3 as they can only be turn on/off manually or using timers, but at least that one is hackable and runs OpenWRT. 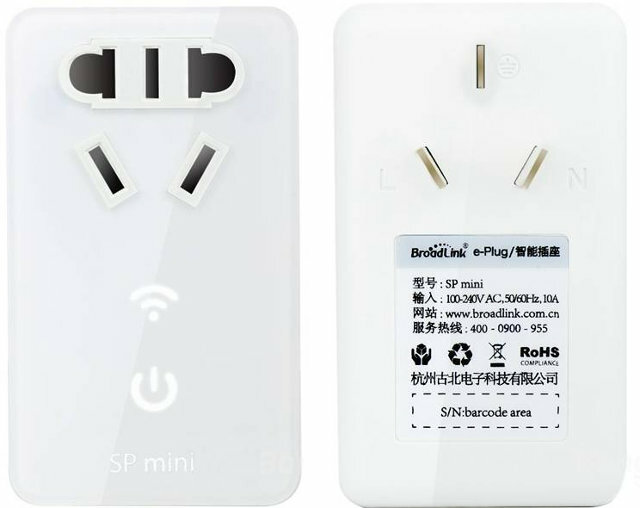 Broadlink has now launched a new low cost version in the same price range of KK-SP3 with SP mini Smart Socket selling for as low as $18.69 on Banggood, but it can also be found on other for a little over $20, such as DealExtreme, Ebay, Aliexpress, etc… It sells for 79 RMB ($12.9 US) in China. Button – Blue On/Off power button on bottom side. In order to control the socket, the company provides e-Control app for Android 2.3.6 and above (apk), and iOS 5.0 or greater. This app will let your turn on and off connected, and set multiple timers. It’s the same app I use for Broadlink SP2 review, but it won’t support the energy monitoring function since SP mini hardware is not capable of this. If you can read Chinese, more details are available on Broadlink SP mini product page. Does it runs linux/openwrt inside? That Kankun thingy is so far the only plug confirmed to run Linux. Few models use Marvell 88MC200 MCU instead. a simple nmap -O ipofthedevice ? hi i am a student of electronics good and let me know. What if you I can make modifications to the source code if the source code is free?